When kicking off an online tutoring career or even for voice over jobs, whether part time or full time, it’s important to understand the tools that you’ll be using down the road for the perfect balance of efficiency and quality. You don’t want to show up with Word 2000, and Apps that no one has ever heard of - you’ll go downhill quickly. 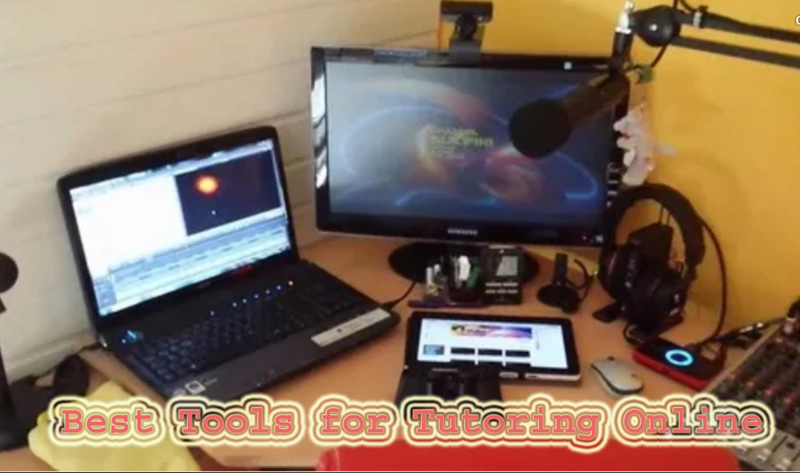 There’s core tools for this field, and here’s a few as starter kits if you’re new to online tutoring. If you’re using a Mac or a PC, you’ll need to grab your hands on Snagit - the screen capture software. Screencasting software used to be expensive, but now there’s a few out there that are offered at a low price. Sometimes, words can’t explain your thought process, and it’s tedious spending time trying to craft together these points and students don’t really have the same time you have. It’s a cool tool that’ll tag along your tutoring journey. It’s integrated with YouTube and Google Drive, meaning that any content captured here, is automatically shared with the integrated app (after a few settings adjustments). Next in line is DuetDisplay - this one is a beauty (Mac & PC) - but you’ll have to own a iPad to use it. The App allows you to turn your iPad into a dual display - basically extending your screen. You won’t know what you’ll use it for until you actually use, and trust me, it comes in handy. I personally use it to audit new assignments that come in, while I work on assignments in the other screen. This one is actually very cheap, and not to mention, their customer support is pretty awesome for a small startup company. I’m not a technician, but everyone knows specifications are important. You won’t be a fanatic gamer but you also won’t send countless hours on your computer playing Minesweeper, you need something just right, a little above entry level. If you’re planning on buying a PC, ask for an i5 or and i7 Intel processor. These are above entry level and they’ll be there for the long haul. For Macs - and if you’re budgeting - I’d recommend a refurbished model. Every Mac model is outstanding so you’re good on whichever one you pick. If you’re serious about efficiency and quality, use the above tips and keep yourself looped in with updates and latest versions. Don’t stop digging for more until you’re the best version of yourself.